Offering you a complete choice of products which include agitator mixer. Sujay Industries manufacture and supply all type of liquid, juice, preservative preparation mixers as per the customer capacity requiements. 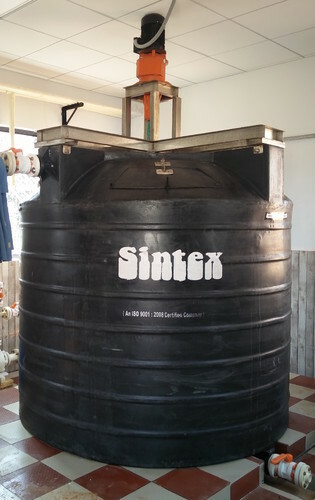 Offered in 2000KL, 5000KL, 10000KL Agitator Mixing tanks. Mainly used for preparation of preservatives of vinegar solution, brine solution, salt water, acitic acid solution juice mixers. Offered machine is manufactured using optimum quality raw-material and advanced technology. In tune with different requirements of our copious clients, we customize the entire range in various sizes and shapes.